Ruckmen Rhys Stanley and Ryan Abbott have signed two-year contract extensions with Geelong. Abbott took over from Stanley when his teammate was sidelined with a calf injury and led the Cats ruck in the latter stages of the campaign. The 27-year-old made his debut in round 20, holding his own in his first game against Richmond's Toby Nankervis. He had been courted by rival clubs but has opted to recommit to Geelong. Stanley has played 57 games for the Cats since arriving in a trade from St Kilda in 2014. Also 27, Stanley was the club's No.1 ruckman for the majority of last season, impressing general manager of football Simon Lloyd. "Rhys produced a strong block of games this year where he demonstrated the type of football he can play," said Lloyd. "He is focussed on taking his game to another level through consistency and professionalism." Speaking of Abbott, Lloyd said: "Ryan had a consistent year, working hard at his craft and was rewarded with an AFL debut late in the season. Ryan shows a lot of drive, we look forward to seeing him develop over the next two years." 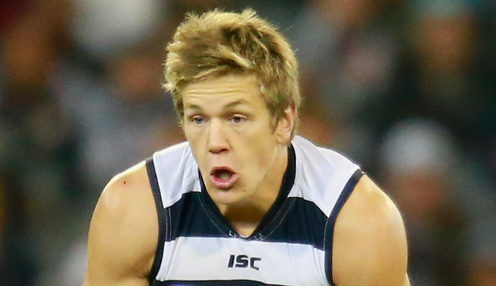 Geelong have also signed rookies Jamaine Jones and Sam Simpson to new deals. Jones has inked a one-year contract extension while 20-year-old Simpson, who made one appearance this year, has added two more years to his current deal. Lloyd said of Jones, who made his debut in round 10 and played seven games last season: "Jamaine's story in football and life is one of resilience and persistence ... we are excited to see Jamaine continue to improve." Geelong are 5.25 to win the 2019 Grand Final. Richmond Tigers are 8.00 with West Coast Eagles at 6.00.